The only point in your schedule is to enjoy using all your senses! Discovering the new slowness is the formula for vitality and fitness, relaxation and the joy of living. Letting go as an alternative to the fast-paced world, luxury instead of boredom in the modern wellness temple. Our indulgence programme is about feeling good in the most beautiful way. Experienced hands release muscular tension and knots in the soul. Precious ayurveda treatments and exhilarating ceremonies, luxurious baths where you are weightlessness in a bed of water, cosmetic treatments, and feel-good massages fulfil every dream on your feel-good wish list and balance out the body, mind, and soul again. 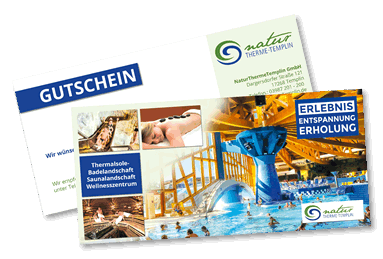 “Made in Templin” stands for quality: The services granted the title “Prevention at a Health Resort” (“Prävention im Kurort”) and “Wellness at a Health Resort” (“Wellness im Kurort”) by the German Spa and Health Resort Association (“Deutschen Heilbäderverband”) are analogous with the highest of standards.